Made from high quality PVC that is both powder-free and latex-free, the Supertouch 1120 Disposable Powder-Free Industrial Vinyl Gloves are the perfect choice for a range of work applications, including assembly work, automotive industry and clinical use. They feature a beaded cuff and smooth finish for a comfortable fit. The 1120 Disposable Powder-Free Industrial Vinyl Gloves have been tested in accordance with EU standards to ensure high levels of performance. 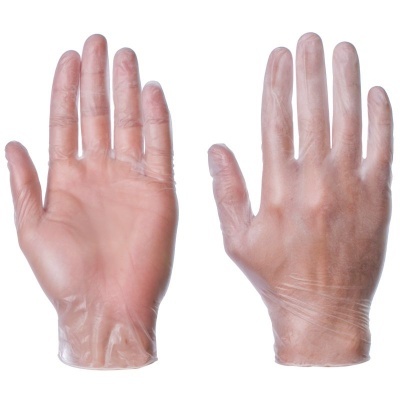 The 1120 Disposable Powder-Free Industrial Vinyl Gloves are available in four sizes that should fit most people. Please measure the circumference of your hand around the knuckles (excluding the thumb) with your hand open and your fingers together, and the length of your hand from the tip of your middle finger to your wrist.